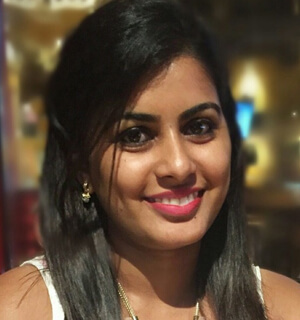 Kavya Krishna is a Project Manager working with One Team, US, who holds a Masters degree in Business Management. She believes in the power of team work and thus manages a team of highly qualified software developers and works in fields such as analysis and requirements gathering, business process mapping and the development of interactive prototypes for customers. Prior to One Team US, Kavya has worked with Robert Bosh Ltd. where she was a part of team involved in improving the Training and development methods of the organization for the manufacturing group. Kavya has great passion for traveling and biking, try new cuisine and contribute back to the society and make the world a happy place.